If someone says the word shark to you, what comes to mind? Unfortunately, for many the word conjures nightmarish images of large, toothy monsters straight out of the movies. In truth, most sharks are shy and elegant creatures that pose no threat to humans. Of the 400 species of sharks in the world, most are less than 6 feet long and more than half of these are less than 3 feet long. Since they eat—or are eaten by—other animals, sharks are an important part of healthy oceans, no matter their size. Take one of our resident sharks, the coral catshark (Atelomycterus marmoratus). 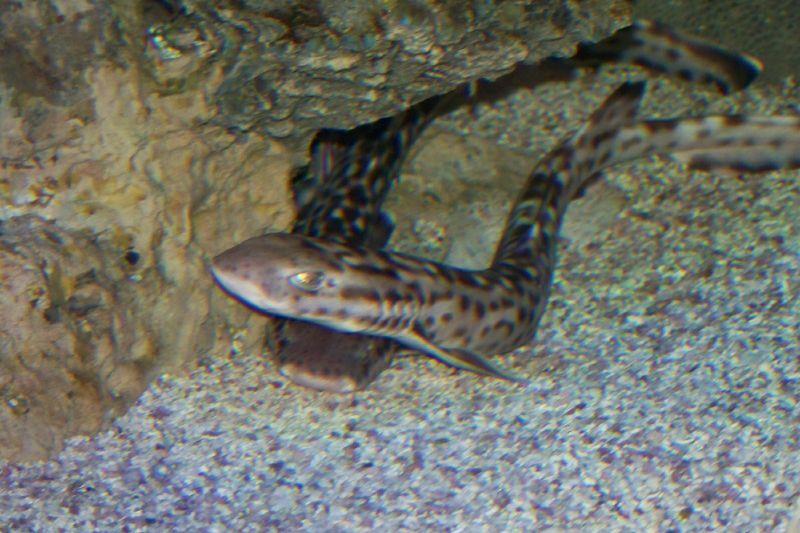 Seldom growing larger than two feet, this Indo-Pacific species avoids predators in the wild by hiding in crevasses and under coral ledges where their spotted coloration helps them blend in to their surroundings. 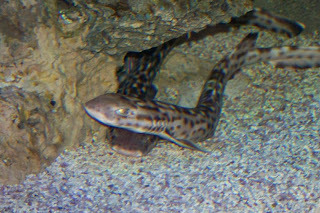 Here at The Trust Family Foundation Shark and Ray Touch Tank, the best place to see our coral catsharks are amongst our artificial mangroves where they are often among other equally elusive shark species. 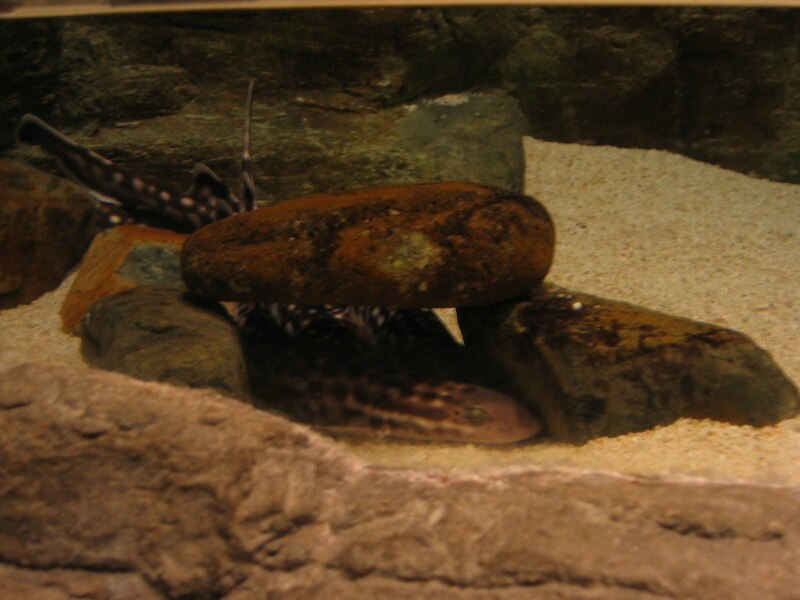 After interacting with these animals in our touch tank, you may find yourself having a completely different view of sharks.